Le Paradis 27 Apartment is a spacious and well-furnished three bedroom apartment in the centre of Chamonix sleeping up to 6, and has 3 bedrooms, 2 bathrooms and one additional WC. Each bedroom has the flexibility of being either a king bed or two single beds. There are two separate balconies in this Chamonix accommodation both leading off the living room: the smaller one, which catches the afternoon sun and looks out towards the Majestic congress and up to Brevent, has a small table and chairs, perfect to enjoy a drink whilst watching the sun go down. The second terrace of Le Paradis 27 Apartment, which faces Mont Blanc, is larger and has a dining table and chairs to offer the ideal spot for alfresco dining during the day. There is one ensuite bathroom with shower and sink, a family bathroom with bath, shower and WC, plus another separate WC. The apartment is situated just off the main high street in one of Chamonix most sought after apartment buildings, Le Paradis Payot residence which is a very short walk to the nearest ski slope and close to all restaurants, bars, shops, and other facilities. This accommodation in Chamonix is on the third floor and has great views of Mont Blanc from the sunny balcony. We also provide access to the private Saint Michel car park for one car, and there is a ski locker and also a bike room for storing mountain bikes in the summer. There is free wifi internet access, plus washing machine and dishwasher. Le Paradis 27 Apartment is located right in Chamonix's town centre. The nearest supermarket is less than 100m away from this Chamonix accommodation and the Savoy ski slopes are located just on the other side of the road for kids ski school and access to the Brevent-Flegere ski area. All other ski areas are easily accessed by bus from one of the main bus stops located close to the apartments too. Only 100m from Le Paradis 27 Apartment you are on the pedestrian high street of Chamonix, with all its restaurants, shops and bars. Pets are welcome at this property but permission must be obtained in advance and a charge will be applied at time of booking. The additional fee is £30. At the bottom of the Savoy slopes, the brand new (2018) Hotel Folie Douce will be hosting daily après ski sessions in their underground party bunker where the clients of the hotel mix with locals and tourists alike. The fun begins at 4pm and ends at 8pm, making it an ideal early evening pit-stop on your way back to Le Paradis 27, especially if you have been skiing the Brevent pistes above. Le Paradis 27 Appt has an access card for parking in the St Michel public car park located opposite the residence. As this is a public car park, it may get busy during peak periods so you may need to park elsewhere in Chamonix. Thank you for your review and for staying with us here at Chamonix All Year, we are pleased that you enjoyed the great location this apartment has to offer and we hope to see you again another time. We stayed here with our family. Chamonix All Year was very accommodating with our check in as we moved from a nearby apartment. We had an infant and needed an earlier check in. CAY and the cleaning staff were very helpful and professional. The apartment was great, modern kitchen and applicances. Location is perfect, close to shops, ski lifts, bus stops to access other ski areas. Beds and pillows were firm, but the apartment was warm and comfy and well equipped. Nice to have two balconies to take in the views. Thank you for your review, we are pleased that you found Paradis 27 to have all the needs you require and that we could help with your early check-in after moving from one of our other apartments when you extended your stay with us, we do hope to see you again another time. 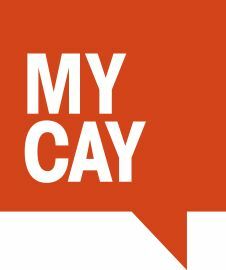 This is our 2nd time at this apartment and again I cannot fault the service supplied by CAY. We are a party of 6 and the apartment has plenty of room for all. The facilities are excellent as we tend to cook in the apartment. The location is just over from the Savoy tow lift which is idea for getting to Brevant. The only negative is the ski storage - it is in the basement, damp and not enough space for all the skis . Thank you for your review and thank you for staying with us again, we are so pleased that you enjoyed your stay with us and found everything you needed, we look forward to welcoming you to Chamonix again. First of all I will list the negative things about the apartment. Well unfortunately there are NONE. It is the perfect place to have a ski holiday in Chamonix (Probably a summer holiday as well). The staff at Chamonix All Year are fantastic, extremely helpful and just want to make your experience the best it can possibly be. The apartment is exactly as described and shown in the pictures, which is a major relief when booking, unseen, from over 14000km away! It is very clean and tidy, very very comfortable and extremely close to the village and ski fields. We stayed for 2 weeks and there were four of us, Mum and Dad and two adult kids. Heaps of room and all of the amenities you could possibly need for that length of stay. We didn't have a vehicle at all and didn't need one, we skied Swiss and Italy ski fields without a problem. The apartment is only about 100m from a pretty well stocked supermarket and the best restaurants in Chamonix. I would highly recommend this apartment and Chamonix All Year to anybody and we will be back. Thank you very much for your review of the apartment, we are so pleased to hear that you enjoyed your stay with us and that the location was perfect for you, we do hope to see you again another time. Thank you very much for your review and for staying with us here in Chamonix, we look forward to welcoming you back another time. Thank you for staying with us again Helen, we really do enjoy welcoming you back to Chamonix each year and massive well done on the MCC and your husbands TDS you should be so proud, we are so pleased that you enjoyed the apartment again and everything it has to offer we are sorry that we are unable to offer more than 2 sets of keys this is due to us only be allowed to have a set number of key fobs for the front door to ensure that the apartment block is made as safe as possible for all guests, you are however more then welcome during your next stay to drop a set of keys into our offices between 9.30am - 17.30pm so save people from being locked out, we look forward to welcoming you back again in 2019 and as ever thank you for booking with us. Coming back to the same apartment as last year. The location is still great, having access to shop and to ski. It’s nice to have some space to gather and talk about the day over drinks or dinner. We’re a family of five and a cat. Thank you for staying with us again, it was a pleasure to meet you again and we hope to see you and the cat again in the future! The apartment was in a excellent location, over the road from the savoy ski lift, and 5 mins from ski school near the church. We were a party of 6 adults and there was plenty of space. This was our 4th time in Chamonix and the 2nd time with Chamonix all yr. We booked our lift passes, transfers from the airport which all went smoothly. I would recommend this company, and we have already arranged our return for next yr. Thank you for staying with us again, it is always a pleasure to have you stay with us again and we look forward to welcoming you back again in 2019. Aesthetically nice and comfortable. Great location. Modern apartment. Not sure where 6 people putt skis and boots though. Nous avons passé un agréable séjour dans cet appartement spacieux propre et fonctionnel. Et surtout idéalement situé. Merci d'avoir pris le temps de nous laisser un commentaire. Nous étions ravis de vous revoir pour un deuxième séjour, et nous remercions pour vos commentaires sympas. Nous espérons vous revoir l'année prochaine! Nice, comfortable apartment, good location. Chamonix is one of most charming town in the Alps, love this town. Everything is perfect. But, we only get to keys. And since we were five adults people, we must hide a key glose to the front door. Thank you for your review of Le Paradis 27 apartment. We are glad that you enjoyed your stay. As the building has a secure entry system, we only have a limited number of entry fobs. We hope that this didn't inconvenience you too much and that we might see you again in the future. Merci pour votre commentaire. Nous étions ravis de vous accueillir pour une quatrième fois dans un de nos appartements et nous espérons vous revoir l'année prochaine. Very good apartment, comfortable and well equipped. The location is excellent, within walking distance of most amenities. Found the Chamonixallyear staff friendly and helpful - buying a multi day cable car pass via their shop saved a lot of queuing. Chamonix itself is easy to get round, as a non French speaker , albeit with fluent French speakers in the group, I found it a friendly and welcoming town, especially the staff on the mountain cable car stations who engaged and suggested walks and sites to see, and remainded pleasently professional despite throngs of tourists not always cooperating. Places to go: the obvious, like mer de glace, but also found walking near la flegere and la plan de l'Aiguille well worth it. Slightly further out, the gorges du diasoz is impressive on a different scale. The lower peaks, (up to around 2500m) were accessible and greatly enjoyed by our four year old daughter, who especially loved dancing and sliding inside a glacier. Negatives? The only one I can think of is Geneva airport unable to cope with the amount of people on a Saturday, I can't hold that against Chamonix. Thank you for your lovely review of Le Paradis 27 Apartment and of our team. We are very glad that you found the apartment comfortable and that we could help you miss the queues and get straight on the lifts wit your passes. We're sure that future guests will find your tips for walks useful and we're sorry that we can't help Geneva Airport to get their act together! We hope to see you again in the future. We're family of 5 (kids: 14, 10, 8) and a cat. We were very comfortable in the apartment; kids having space for themselves and the parents, too, to enjoy aperitifs or coffee at the living area. Plenty of dishes and glasses :-), the main street nearby with supermarket and stores is another plus. Washer, parking, bus stops close by..... what else can we ask for? Thank you for your lovely review. We were very pleased to see you back again for a third stay with us, and are delighted that you enjoyed this apartment as much as the previous two. We look forward to seeing you back again soon! Even though we had a Christmas without snow, we had a lovely time in Chamonix. What a stunning town and our apartment was fantastic. It is spacious and sleeps 6 very comfortably. There are 2 balconies with beautiful views of the Alps from different aspects which we thought would make it a great spot as a summer apartment as well. The best thing about the apartment though is the location - literally a 1minute walk to the centre of town, a 3 minute walk to the Parking St Michel where you can keep your car, and a 1 minute walk to the ski school. It couldn't have been more convenient. Thank you for your lovely review of Le Paradis 27 apartment. We're glad that you enjoyed your not-quite White Christmas in this centrally located apartment and hope to see you back again another time when there's more snow - or maybe in the summer to enjoy those views again! great place well situated close to the centre but not noisy. Been twice now and will be going back. Good amenitys ,very clean and well looked after by a very helpfull Chamonix all year staff. Thank you for reviewing your third stay with us, and second in these apartments. We're very glad that they still make a good base for your group and look forward to seeing you again next year! Thank you for your lovely review of your stay in Le Paradis 27 apartment. We're glad that our team could help you enjoy your stay and that you enjoyed the central location of the apartment. We hope to see you again in the future. General experience was very good at this location including all needs (wifi, parking, fully-equipped kitchen,...). I would reccomend to put a little more effort on the cleanliness under all the beds. However this doesn't affect to our lovely experience. Thank you for reviewing your stay in Le Paradis 22 apartment. We are very pleased that you liked the central location and facilities, and we will pass your feedback on to the cleaner to improve in this area. We're glad that you enjoyed your holiday and hope to see you again soon. The apartment was located in a brilliant place, close to the main shopping street and just round the corner from the big Super U! Great view from both of the balconys and both were a good size. The apartment was vary homely and we had a lovely stay! Thank you for reviewing your third stay with us, this time in Le Paradis 27 apartment. We are very happy to hear that you enjoyed it as much as your previous stays and we look forward to seeing you again next year! everything was very good but the apartment could have been cleaner, location is top, and Chamonix is really a fantastic place to stay! We will come back. Thank for taking the time to review your stay with us in Le Paradis 27 apartment. We are very pleased that you enjoyed the location in the centre of town and we will make sure we mention your comments to the cleaner for the time. We look forward to seeing you again! We stayed for the first week of Easter and although we were slightly disappointed with the lack of snow (very sunny and warm prior to our visit) we were very impressed with the apartment. It is close to the Savoy nursery slopes which lead up to the Brevant cable car which takes you up to the higher slopes and amazing views. The apartment is also ideally situated for access to Chamonix which is literally a minutes walk to the main street but is far enough for peace and quiet.The apartment had everything you could wish for and played a major part of our holiday, especially as it rained for a few days which meant we probably used it more than we had intended to. We stayed as a family of four with our girls (12 & 15) and the three bedrooms allowed for personal space and comfort.Value for money was good especially if you compare it to hotels in the area that are unable to offer "the home from home" comfort that an apartment can.We would fully recommend staying here in Chamonix and the bus service to other skiing areas is superb although perhaps not ideal for first time skiers when there is a lack of low level snow.Big thanks to Chamonix All Year. Their service and attention to detail is second to none, we look forward to booking with you again soon. Thank you for your lovely review of Le Paradis 27 apartment. We are delighted to hear that you enjoyed your stay and that the apartment was a good base for your family holiday. Thanks for your lovely feedback on our team as well! We hope to see you back again, maybe a little earlier in the winter for some better snow or in the summer for an alpine summer holiday?! Good clean and cozy appartment. All in all a pleasent stay. If I should point something out, the staff that met us when we arrived was very busy, so we didnt get all the info about Chamonix that we needed. But found out otherwise. Thank you for your review of Le Paradis 27 Apartment. We are very pleased that you enjoyed your stay in the apartment. We apologise that our Resort Team seemed busy on arrival and will ensure that this doesn't happen in future as we always endeavour to offer the best introduction possible to Chamonix, and we hope that you found the apartment information folder useful too with its information about the town/ski areas etc. We hope to see you back again in Chamonix soon. Six of us stayed in Le Paradis for four nights to ski in Chamonix. It is very comfortable, Year warm and close to the savoy button lift which brings you straight to the Brevent Gondola. Location was perfect with bars and restaurants within a five minute walk as well as ski hire shop and lifts.I had some issues which were promptly sorted out by Chamonix All Year. Would use their service again and would definitely stay at Le Paradis again. Thank you for your lovely review of Le Paradis 27 apartment. We are very pleased that you enjoyed the central location and that our team could help you to enjoy your stay and sort out your issues. We hope to see you again in the future! Excellent location and we have now used CAY several times in recent years. Already planning next years walking trip and hoping we can rent the same apartment. CAY set up the 3 bedrooms with 2 single beds in each making it perfect for our group. Location ideal for shops, pubs etc too. Thank you very much for your lovely review of Le Paradis 27 apartment. We're very pleased that you enjoyed your stay with us again and look forward to seeing you again this time next year! It is a very comfortable apartment with excellent location. It just need more clean and put some baskets and mirrors on the rooms and more lights on the living area then it will be a very wonderful apartment. And for sure i will suggest it for others. Thank you for your review of Le Paradis 27 Apartment. We are very pleased to hear that you found the apartment comfortable and enjoyed the central location. We will certainly pass on your comments regarding the cleaning to our housekeeping team as this is not acceptable and will bear in mind your other suggestions for the next time the owner wishes to freshen up the apartment. We hope to see you again or some of your friends soon! Comfortable furniture, nice bathrooms and week equipped kitchen. Nice atmosphere. Everything great except from some noise coming from the street in the early morning. Thank you for your lovely review of Le Paradis 27 apartment. We're glad that you found it well-equipped with everything that you need and hope that we'll see you back again in the future. Thank you for your lovely review of Le Paradis 27 apartment, we're glad that you enjoyed your stay, especially the central location. We hope to see you again in Chamonix soon. I and my family had a great stay in this apartment in Chamonix. Everything was good, well-appointed, home from home, secure location very close to centre and supermarkets, fantastic scenery from balconies - the only downside was the roof of the next door building blocking some of the view of the mountains but that was really a very minor moan. Weather was fantastic with a view of Mont Blanc with plenty of snow on it and the other peaks. I can certainly recommend this apartment. Thank you for your lovely review of Le Paradis 27 apartment. We're very pleased to hear that you enjoyed the central location and the balconies, and hope that we might see you back in Chamonix again. Nos gustó todo, la ubicación, el apartamento amplio confortable y con vistas excepcionales. La comodidad del parking y la atención de Jamie. We liked everything, location, comfortable and spacious apartment with exceptional views. Parking comfort and care of Jamie. The apartment was great. Great views, really close to the main strip and supermarket, but just far enough to not be bothered by the noise. All the amenities in the apartment were great (washer, 2 showers, kitchen). I felt very secure in the building. Would repeat. I just wish there had been more snow. accomodation was very good. not wanting for anything.